(Picton, ON) June 06, 2018 – Screaming Power is pleased to receive funding from the Ontario Ministry of Energy’s Smart Grid Fund. The fund supports the progressive modernization of Ontario’s electricity distribution grid and Screaming Power is proud to bring this initiative to two Utilities (LDCs) in Ontario. The Smart Grid Fund supports innovators developing cutting-edge technologies that will make electricity systems run better and empower customers with more choice and control over their power use, including testing, developing and launching the next generation of technologies, which enhance Ontario’s electricity distribution systems. 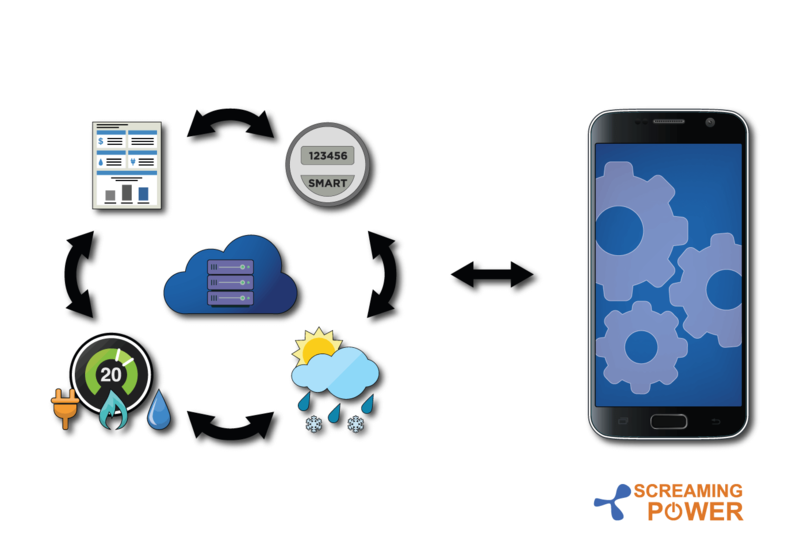 Screaming Power is investing the funding into an innovative project: Mobile Cloud Demo – Integrate Market & Utility systems with Smart Building Tech to Manage Energy. Screaming Power will work with Oakville Hydro and Sarnia-Lambton’s Bluewater Power to demonstrate a mobile app solution that uses data collection and analysis to support decision-making and customer/utility education. The mobile application uses advanced machine-learning to develop an energy usage baseline, weather normalize, and automated optimizations for energy users to save on energy. This platform provides capabilities for real-time communications between the utility and its customers, while working with the 2 LDCs on the delivery of toolsets to manage building information, including energy use, smart devices, distributed energy generation, and storage. It integrates existing market information (and history) with utility information for evaluation, analysis and reuse, so market-wide datasets can be readily used for advanced analysis and decision-making. Information is presented to the energy user through understandable and user-friendly dashboards that hide the complexity of the underlying calculations. The dashboards also support positive behavior change. The platform allows user interaction directly with the utility, in the palm of the user’s hand, thus reducing utility operating costs through direct communications with the user for billing and outage information. The mobile app platform reduces future utility asset costs by integrating existing legacy solutions and leveraging technologies customers have acquired on their own.